Specimen is a mobile color-matching game takes both concentration and an incredible eye for incremental hues. 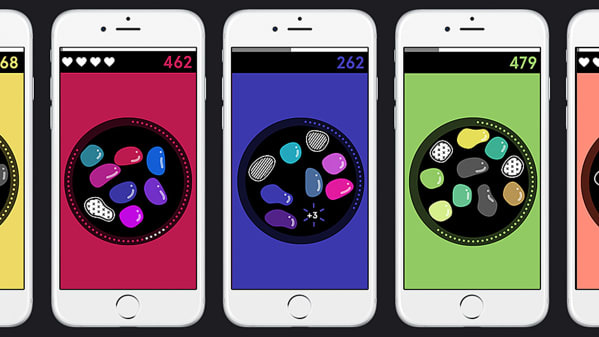 Within the app, players are presented with a digital petri dish of slow-moving, pleasantly blobby amoebas in different shades; the goal is to tap the samples that are the same. As the clock ticks down, decisions must be made, which puts users’ visual perception under pressure. Can they pick the right pairs from the gradient rainbow? Only time, and ultra-keen peepers, will tell.